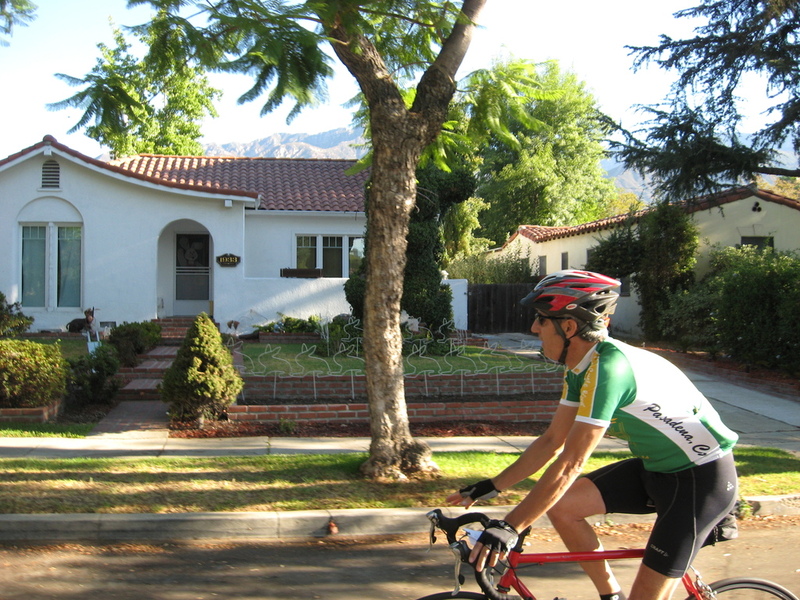 Today’s bike ride was a new version of the original Topiary Tour. I’d found a couple of new topiary sites to add to it, and we even found a couple more along the way. 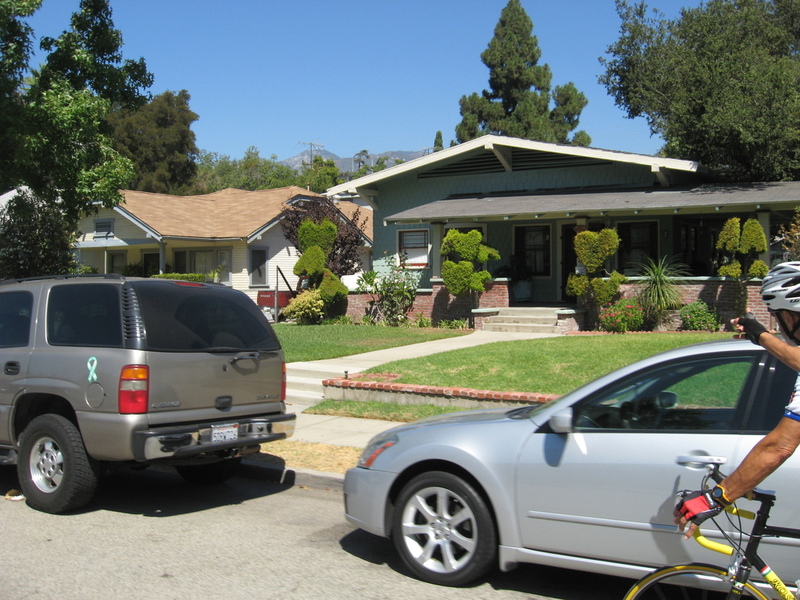 We began with a short jaunt up to Altadena and the Bunny Museum with its big topiary rabbit on the front lawn. Then down to the Elks Lodge in Pasadena and the elk’s heads by the door. The pegasus at the Mobil station on Lake Avenue was badly in need of a trim. It was barely recognizable. 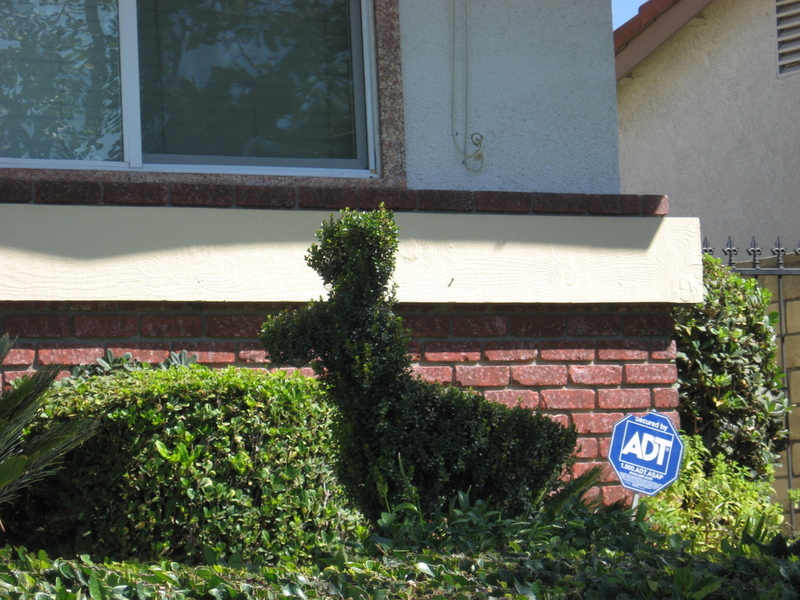 In Arcadia, we saw what we think was a topiary swan that looked a lot more like a bathtub rubber duck. 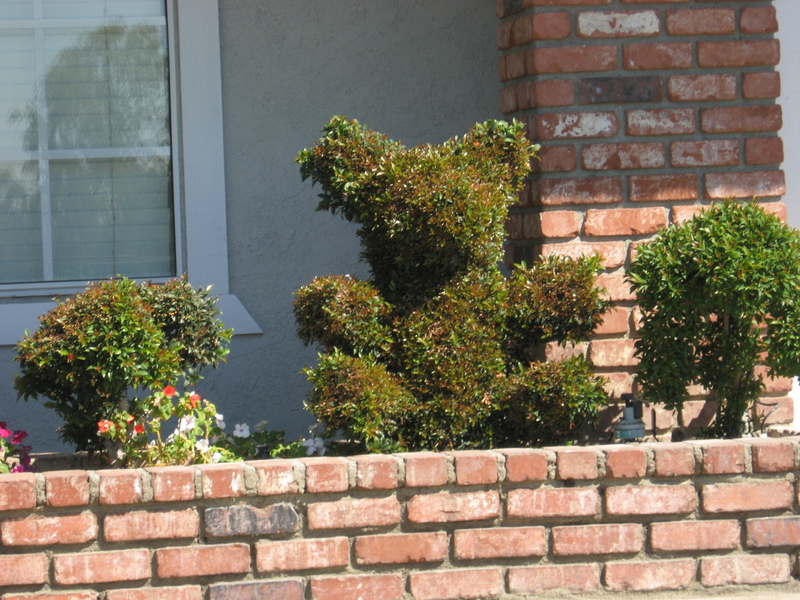 And in Baldwin Park, we passed a house that has several topiary animals in the yard. Then we went by the original topiary site. The one that first gave me the idea to to a Topiary Tour. 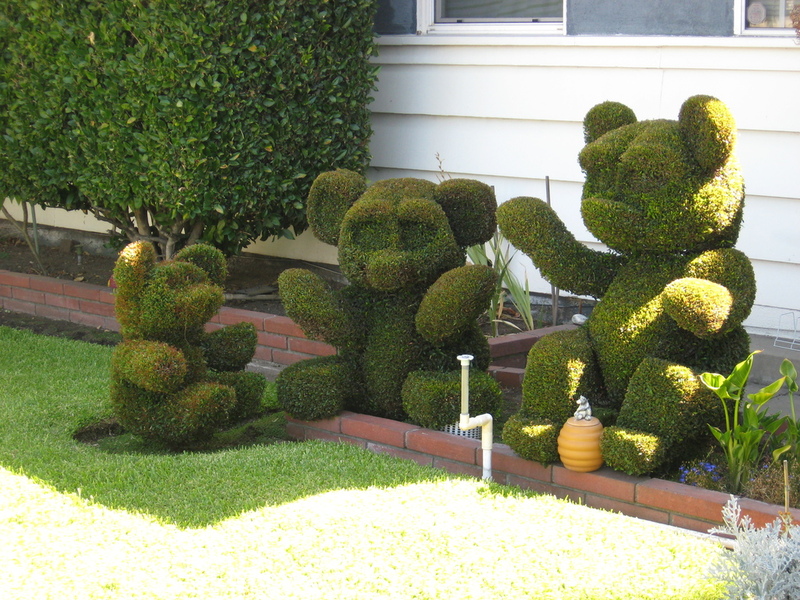 The topiary teddy bears in Covina. 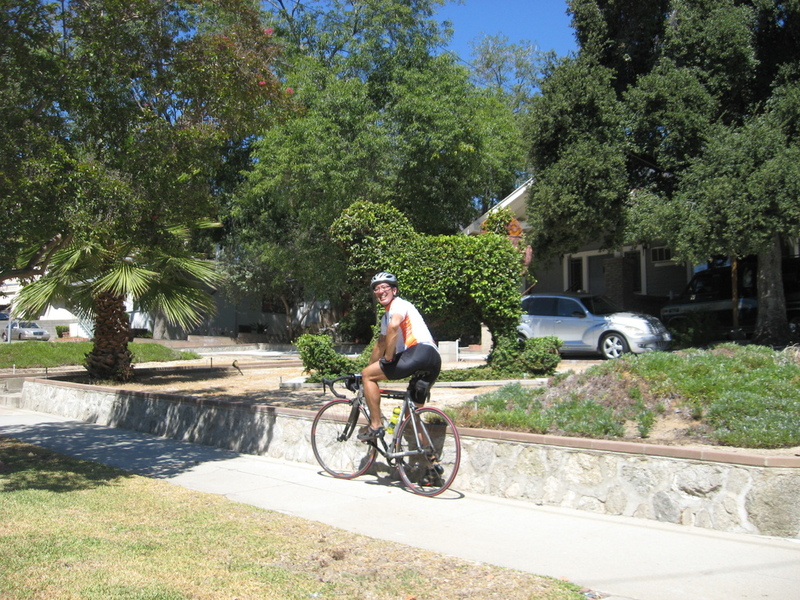 Our snack stop was at Classic Coffee in Old Town Glendora. 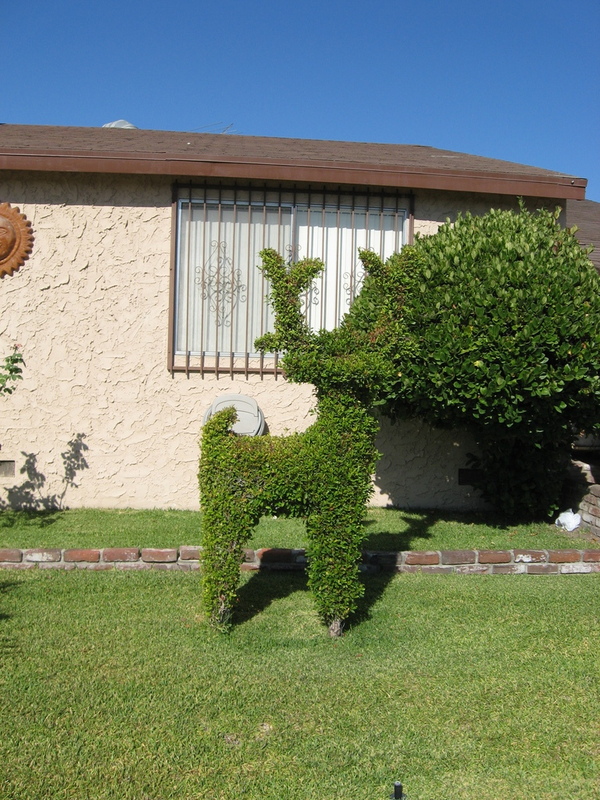 Then, on the way back, we spotted a topiary deer, two dolphins, and a teddy bear in front of two houses along Leadora Ave.
We continued on through Azusa and back into Monrovia, where we passed the topiary hearts on Colorado Blvd. 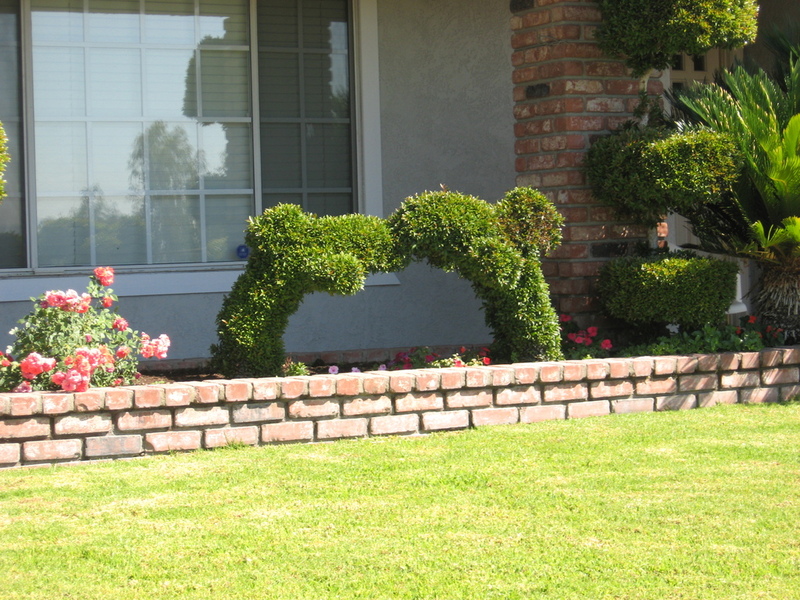 And the final topiary stop was the big rocking horse on Grand View Ave in Sierra Madre. It was a fun little themed ride.